Obviously, the city has no shortage of hotels. 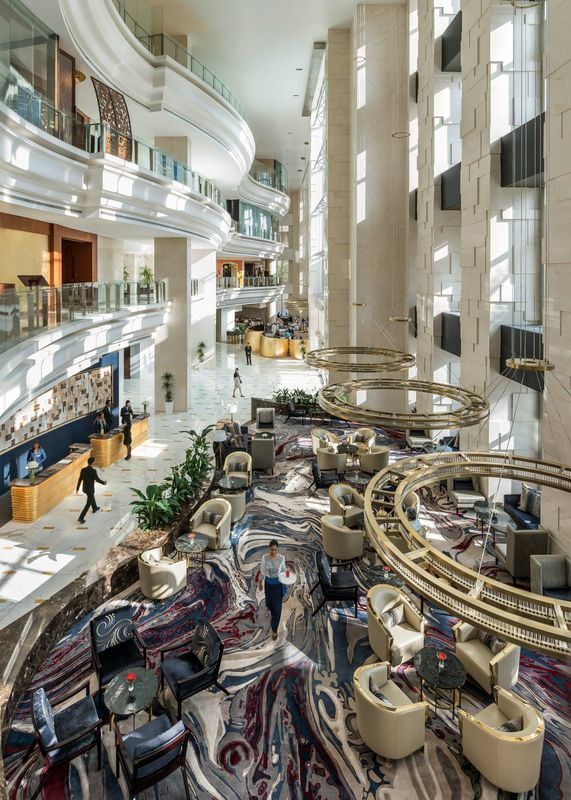 However among all, the plush and glittering Shangri-La Hotel stands out distinctly to many visitors because of its convenient location, ultramodern facilities and par excellence hospitality. 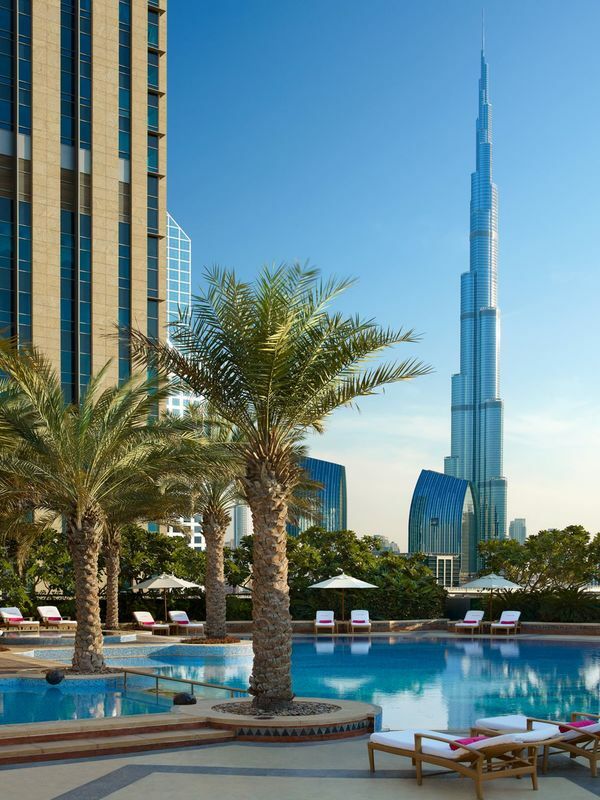 Overlooking the soaring Burj Khalifa Tower, the world’s tallest man-made structure, this award winning hotel is located along Sheikh Zayed Road in the heart of modern Dubai in close proximity of Dubai Convention Centre, World Trade Centre, Dubai International Financial Centre, and several other major office blocks. The city’s main touristy lures - popular sea beaches, heritage village, museums, ancient mosques, traditional bazaars and some of the glittering shopping complexes like the famed Dubai Mall and Mall of Emirates are not far away either. So the hotel is a favourite of both business and leisure travellers. The international airport is only a 15-minute drive and the very efficient Dubai Metro has a station almost at its doorstep making it easy and convenient to travel from one end of the city to the other, avoiding the road traffic. The hotel offers a comfortable retreat in its 302 rooms and suites, each of which boasts of Arabian inspired luxury. Splendid views and well selected furnishing and artefacts proclaim nothing but class and elegance as expected in any Shangri-La property. All rooms feature flat screen television, complimentary internet access, full-sized writing desk, telephone, minibar, tea/coffee making facilities, as well as the bathroom with separate bathtub, shower and exclusive toiletries. 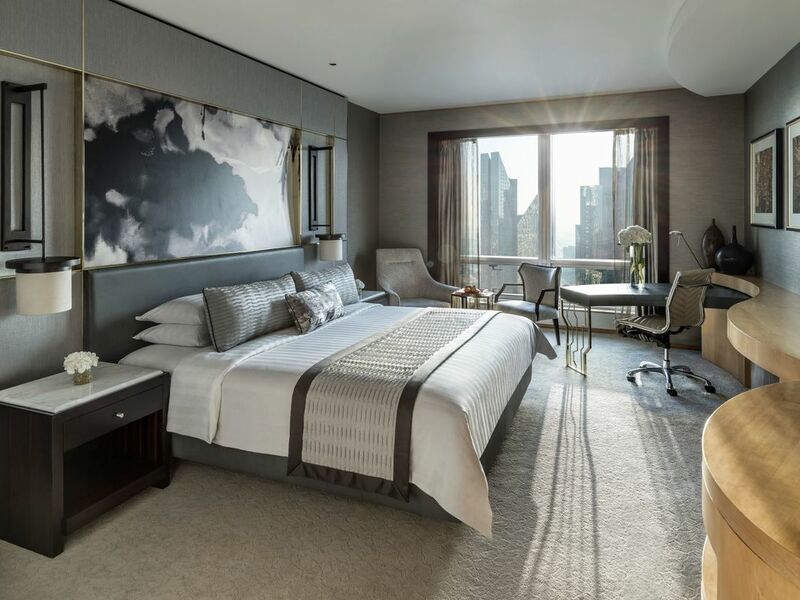 Guests staying in the exclusive Horizon Club rooms enjoy privileges and superb facilities, including express check-in/out and access to the Horizon Club Lounge with complimentary all-day refreshments, private health club and indoor infinity pool. As Dubai is crowded with expats, the hotel’s 126 fully furnished serviced apartments are a good choice for those keen on long-stay living. 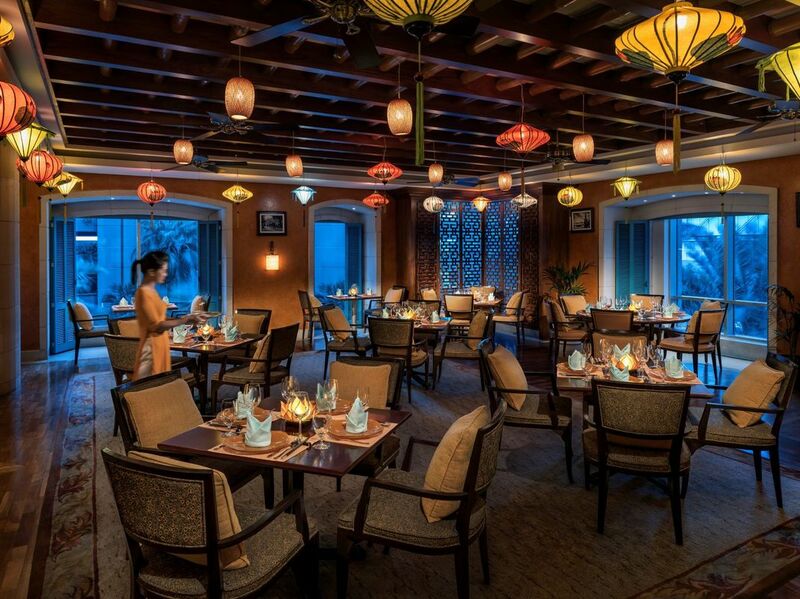 While signature restaurant Shang Palace delivers the traditions of authentic Chinese cuisine, dining at the award-winning Hoi An is a true journey through Vietnam. Chef Pham Ngoc Quan, with his youthful enthusiasm serves recipes from the royal city of Huế to the bustling cities of Hanoi, using freshest ingredients from different regions of Vietnam. No one misses here the signature spring rolls or crispy lobster ravioli for subtle, yet flavourful spices. Breakfast is served at the Dunes Café where the buffet spread includes items from the kitchens off India and China, in addition all the other usual items from a variety of juices, fruits, cereals, salads, cold cuts, and bakery products to sausages and eggs prepared to orders. The venue is also open for lunch and dinner. 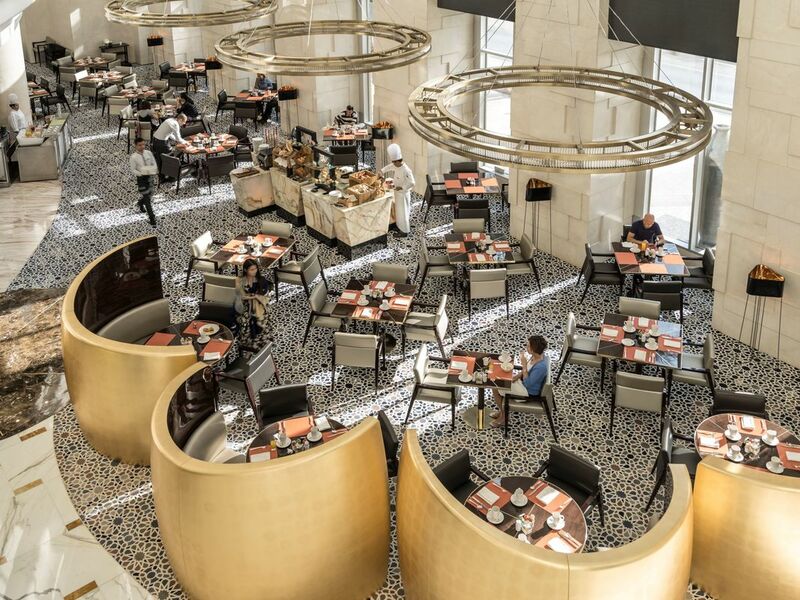 The live open kitchen is a stage for the chef’s engaging performances to prepare gastronomical delights from Asia’s noodles, sushi and sashimi prepared, and Middle Eastern mezze to tempting mains dishes including superb daily roasts, grilled fish and select meat cuts. So true, life can be at its best when at Shangri-La in Dubai.